Aloft implements Fingi – for mobile Room Control! Pam Thien for "What in Travel"
You wear a suit most of the time, and when you're not, you're getting ready to. You've got a life partner, business partners, maybe even a detail or two, and when you're ready to get away from it all, you want things done in precise, timely manners. You want the experience to pleasure your drive, and the drive to take you above and beyond even your own expectations. Without all that fussy nonsense, you took the best way to get here: Bangkok Airways Blue Ribbon Class. At the airport, your uniformed chauffer breaks out a silver Mercedes and takes you on a 45-minute ride. You'll pass shops, stalls, bars, and restaurants both local and international, but you don't need to soak them in like a backpacker, take a nap. Near the end of the ride is a small path up a high hill. The limo will then park in a roundabout before a solid wall where two brass gongs rest on each side of tall wooden panels. You see, in other resorts, you might have to walk around to get a sense of the island. 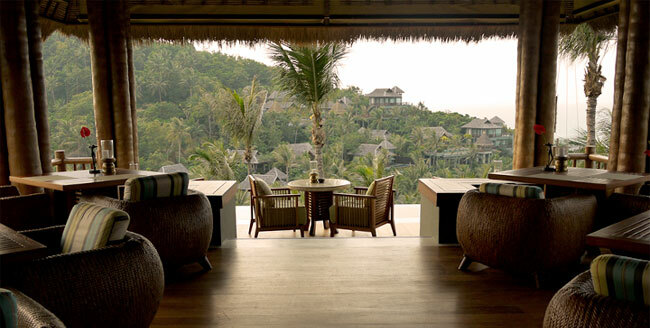 At Four Seasons Resort, Koh Samui, the island greets you. 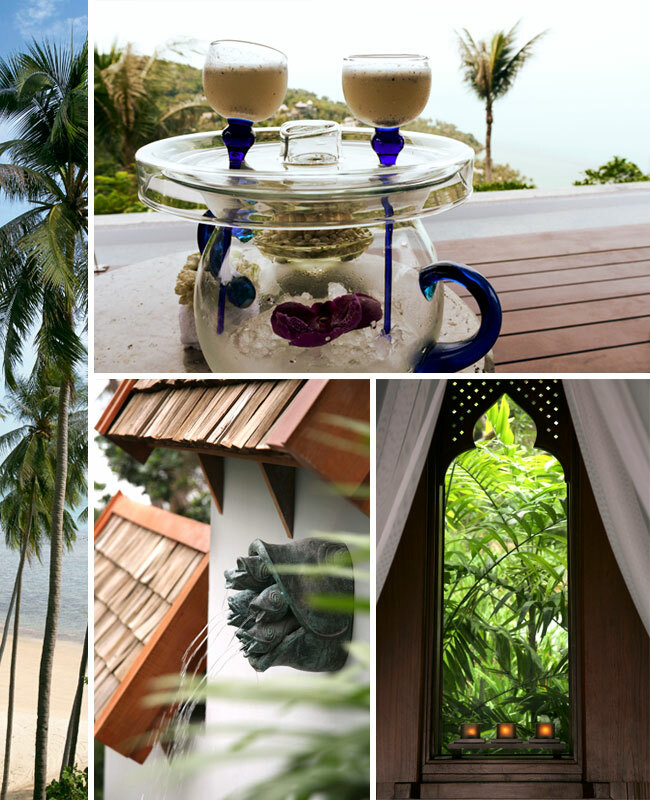 After entering through the doors, and being welcomed by the island of Samui, you'll want to inhale the scenery. You, and yours, would then be taken via golf cart down small paths lined with jungle greenery by notoriously creative landscape architect, Bill Bensley. This, you'll want to take in. You'll also want to take in your Villa and its private pool, additionally designed by Bensley. With giant glass doors and ample lighting, the jungle is yours at a comfortable distance. Okay, so you've traveled, you're tired, but you don't want to snuggle in to the multi-layered, custom-made bed just yet? Make an appointment at The Spa for a little signature massage. Then dock the iPod, take a warm shower, and wait for the buggy to pick you up. After a relaxing spa session, you'll be hungry. 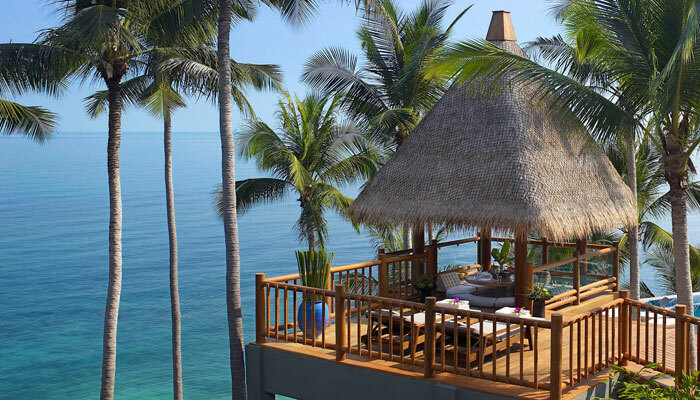 For your first evening at the hotel, you'll want dinner on the beach at Pla Pla. 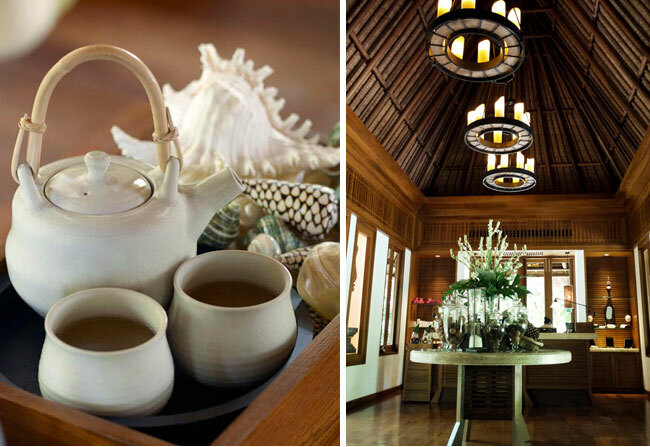 Because you're well advised in Thai cuisine, you'll know to choose the selection of freshly grilled seafood. And if you find the choices hard to make, the Samui calamari and spiny lobster combination in honey lemon or Thai chili sauce is highly recommended. Back in your villa after dinner, you're ready to turn in; it's been a long day. Take a relaxing bath in the terrazzo tub and enjoy the feel of fine teak flooring against your toes. By now, the turn-down service would have brought in the hypoallergenic pillows you requested. Nuzzle into one of the softest beds you'll ever experience, your back will thank you for it. In the morning, you'll head to Lan Tania for breakfast, where you'll have your Eggs Benedict made-to-order at a table that practically floats above a magnificent view. After, you might head to the Beach Bar, arrange for a tour of the island, or try In-Villa Dining with your significant other. And should you feel like reading, the Amazon Kindle is available, simply ask. Whatever you choose to do, you're in good hands. 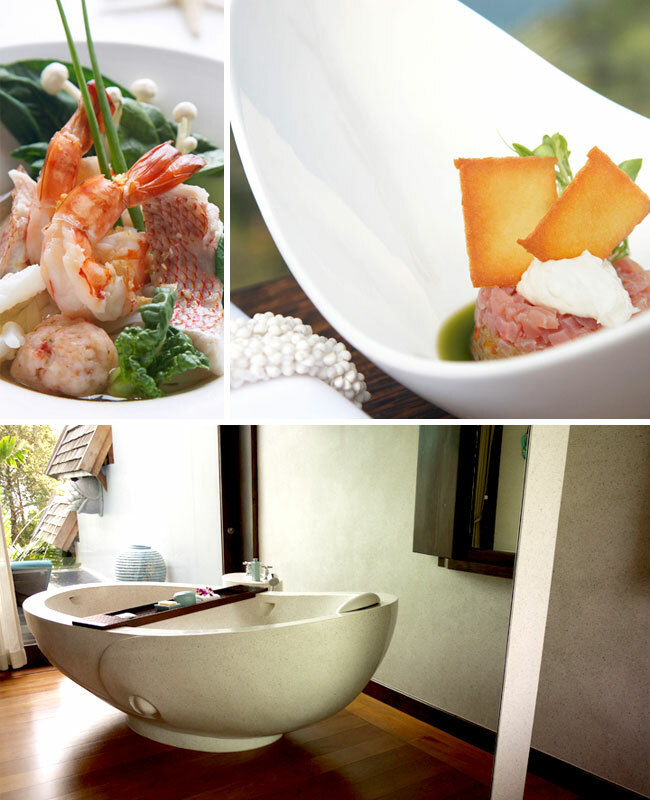 You've worked hard, you want pampering, and you've treated yourself to the services at Four Seasons Resort, Koh Samui. Rest now, enjoy your stay. Important Note: On Tuesday March 29, 2011, Koh Samui Airport (USM) was closed due to bad weather. Please find out more in our editorial note.